James L. Vaden has practiced orthodontics in Cookeville, Tennessee since June 1972 when he received a Masters Degree in Orthodontics from the University of Tennessee, College of Dentistry. During this period of time, he has provided orthodontic care and/or consultation to well over 10,000 patients, both children and adults. Experience matters!! He continues to practice at the same location where he started his practice. The facility has been updated several times and continues to enable him and his well trained staff to provide excellent orthodontic care to patients who desire their services. Dr. Vaden was raised on a dairy, beef and tobacco farm in Williamson County, Tennessee. He grew up farming and continues to farm in the Buck Mountain area of Putnam County. He attended Vanderbilt University where he received a B.A. degree in History. He then went to dental school at the University of Tennessee and also received his graduate orthodontic training at the University of Tennessee. In addition to his private practice, Dr. Vaden has authored over 75 articles which have appeared in peer reviewed orthodontic journals. He has authored or co-authored 15 book chapters that are in various orthodontic textbooks. He has given approximately 250 major lectures to national as well as international groups of orthodontists. 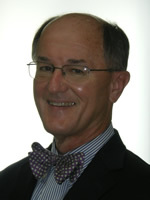 Since 1980, he has taught in the Department of Orthodontics at the University of Tennessee, College of Dentistry. He served from 1999 – 2010 as the Professor and Chairman of the Department of Orthodontics. This endeavor required that he travel between Memphis and Cookeville on a weekly basis for eleven years!! He continues to teach at the University of Tennessee and holds the academic rank of Professor. In addition to his service to the University of Tennessee, he was an adjunct clinical professor at the University of Michigan in Ann Arbor from 1991 until 2000. Outside the university, Dr. Vaden has also been of service to the specialty of orthodontics. Notable is his selection as a Director of The American Board of Orthodontics, the official certification body for the specialty of orthodontics. He culminated his service to The American Board of Orthodontics by serving as its President in 1999-2000. In 2007, Dr. Vaden completed a four year term as the orthodontist on the Commission on Dental Accreditation, the accrediting body for all dental education. Dr. Vaden continues to serve orthodontics by his attendance at many meetings, his lectures around the world and his many specialty committee assignments. He is currently the Co-Director of the Tweed Study Course in Tucson, Arizona, a two week orthodontic course that is given three times each year. Each class of the Tweed Study Course is composed of 100 orthodontists from around the world. Teaching orthodontic fundamentals to all of these people from so many different countries has definitely given Dr. Vaden an international perspective on his specialty. The specialty has thanked Dr. Vaden for his services many times over. Examples of this recognition are: He is the third person in the history of the specialty to receive the international award for teaching (The Jarabak), the award for significant contributions to the art and science of orthodontics (The Ketcham) and the American Association of Orthodontists distinguished service award (The Brophy). Additionally, the new state of the art orthodontic clinic housed in the College of Dentistry, University of Tennessee Health Science Center is named the James L. Vaden Orthodontic Clinic. On a personal note, Dr. Vaden is married to Dr. Beverly Hedgepeth and has a daughter, Meg, an attorney in New York City. Meg and her husband Steve have two children, Leo and Calvin. The Vadens reside on a farm in the Buck Mountain area of Putnam County where they raise Black Angus cattle, restore old John Deere tractors and watch ground hogs grow! 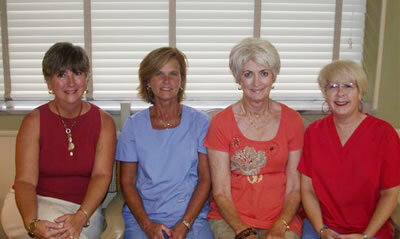 The staff who works with Dr. Vaden has over 125 years of combined experience in orthodontics. Experience matters! The two registered dental assistants – Susan Johnson and Debbie Strickland are an integral part of the orthodontic care delivery team. They are highly skilled and extremely qualified. Patients who come into the office are greeted by Myra Case who has been "the smile and the voice" at the front desk for the past 21 years. Ellen Kennedy, who has worked in the office for over 36 years, works behind-the-scenes on a part time basis. These four staff members make it possible for Dr. Vaden to practice orthodontics in the Upper Cumberland and to teach orthodontics to students both at the University of Tennessee and around the world. "Team work" is the vital ingredient, not only for the success of the practice, but also for the success of Dr. Vaden's professional life outside his clinical practice as he strives to make a positive impact for the specialty of orthodontics and the profession of dentistry. © Copyright 2008 - Dental WebSmith, Inc. and James L. Vaden, DDS, MS, PC. All rights reserved worldwide.